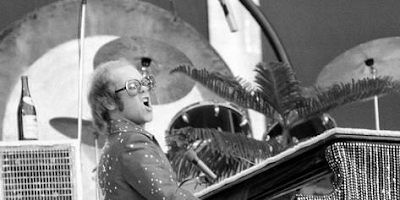 In the summer of 1975, Elton John played the entire "Captain Fantastic" album from beginning to end in front of a huge crowd at London’s Wembley Stadium. At the time, this did not go down particularly well with the fans, many of whom were coming out with the “we wanted to hear the hits” complaint. 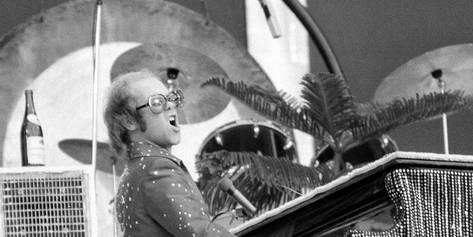 Similarly, it did not go down particularly well in the music media either, who seemed to think that Elton was becoming a bit too big for his boots, in that he felt he could do what he wanted, without considering his fans. Unfair. He and Bernie were creative artists, and had every right to challenge their own muses and try to push themselves higher. On the "deluxe edition" of the studio album, there is the full recording of this concert, and very good it is too. 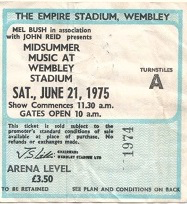 The sound reproduction is very impressive, considering it is taken from an outdoor stadium gig in 1975.